Heat oil in a pan,fry chana and urad dal,then add curry leaves,red chilli,ginger and fry it. Then add onion and saute till transparent. Then add tomato and stir for a minute and add the grated carrots. Cook for 1-2 minutes and turn off the stove. Cool it for sometime and grind along 1/4 cup or less water and enough salt. Grind to a smooth paste and transfer the chutney to a bowl . Heat oil in a pan and add the tempering ingredients,fry well and add it to the chutney. 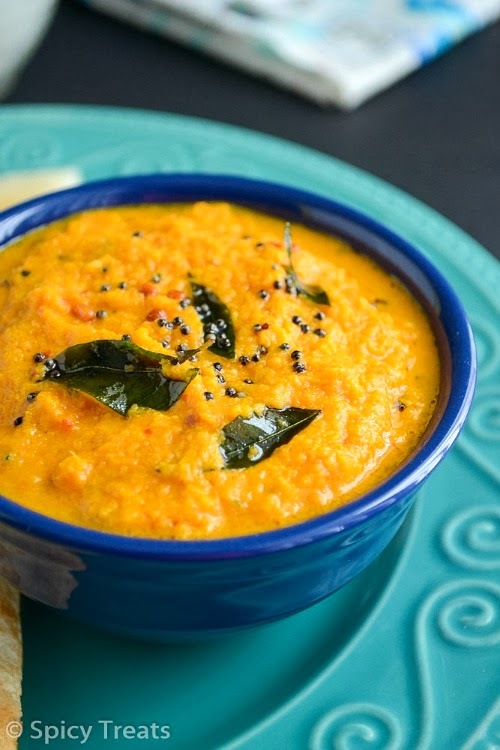 Stir well and the Carrot chutney is now ready to serve. 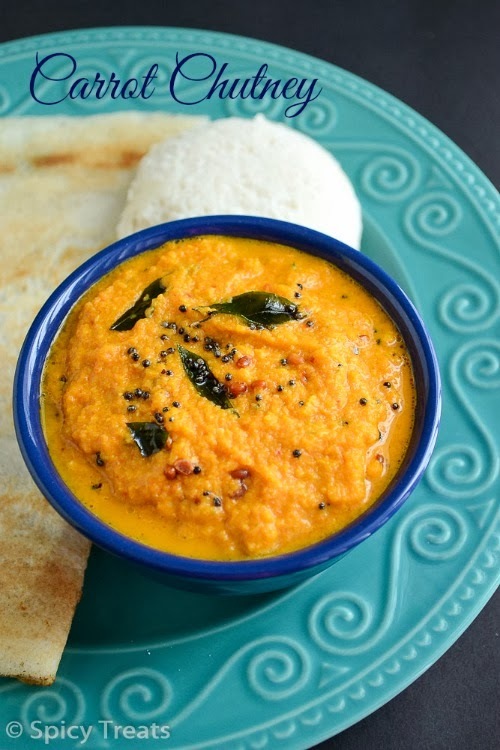 This goes well with idly,dosa,chapathi or with curd rice. A very different n yummy chutney. All your recipes are tried and true...i have bookmarked your blog. Thank you for sharing your recipes.keep up the good work. Wow....... 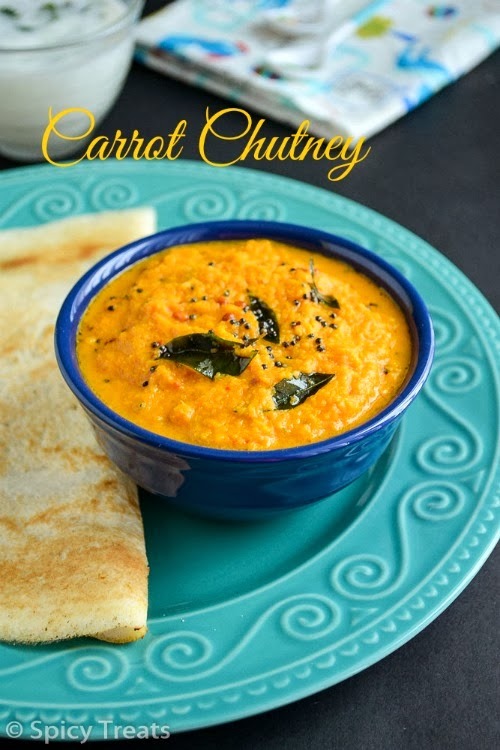 Carrot chutney is my favourite food. I love this. And also looking so good. 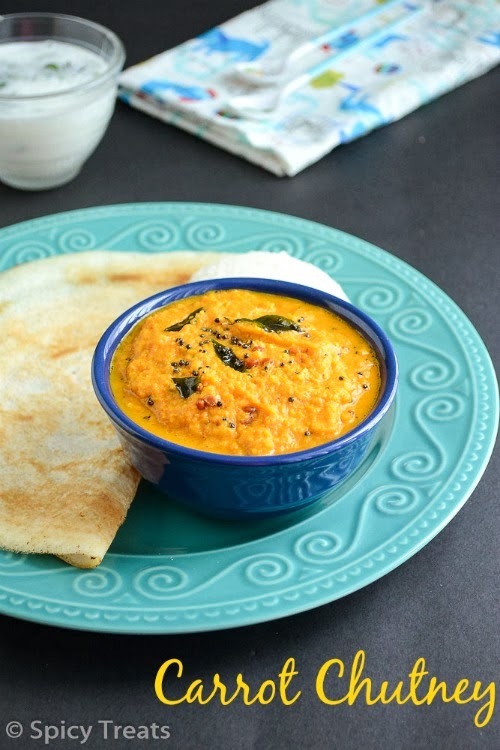 Carrot chutney has a great hue and is very healthy too.